It seems that the angels are answering all of my prayers lately. My life is streamlining in the exact fashion that I wish it to, and I have a feeling that it’s no accident. That’s what happens when you make the decision to be happy. All you have to do is decide right now that you’re not going to give away your power to anyone else, that you are going to be happy no matter what is going on around you. You are an extremely powerful spiritual being, and you have the power to be happy whenever you choose. 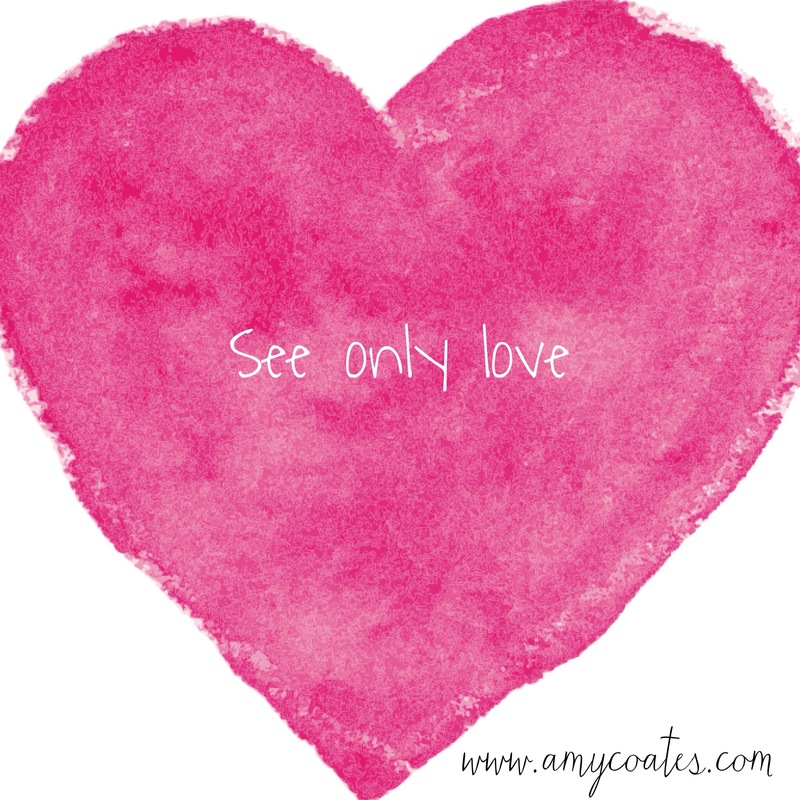 You can also choose to stop criticizing, stop comparing, stop expecting the worst, and and you can choose to see only love. If you’re always judging and complaining about things, maybe you’ve trained yourself to focus on the bad things. I challenge you to retrain yourself. For 24 hours, I challenge you to focus only on the good in all areas of your life. Focus on what you love about your kids, your partner, your job, your parents, etc. How may people do you know who constantly complain about their jobs? Take a moment and just be grateful that you have a job. Many people are struggling to find one. Focus on what you love about yourself. What does your mental chatter sound like? Do you tell yourself how amazing you are, how smart you are, or do you belittle yourself? Send yourself loving thoughts. See how your partner reacts when you stop criticizing them for not taking out the garbage. Instead, shift your focus. Say “You know, it really means a lot to me when you take out the garbage. Thank you for doing that every week.” Focus on the positive instead of the negative. Why did you marry your partner in the first place? What made you fall in love with them? Relationships improve immediately when you stop focusing on the bad and start focusing on the good. Look past the misunderstandings and mistakes, and see only love. If you catch yourself complaining, judging, comparing, etc. that’s ok! It’s great! It means you are becoming more aware of your negative thoughts! Awareness is what you want. Control your thoughts or they will control you. Love is light. The opposite of light is dark; the opposite of love is fear. Where there is love there cannot be fear. For some reason, so many of us are living in a fear-based reality, and we don’t see a way out. Well, the way out is love. It all starts with digging deep and finding out what you love about yourself. What makes your spirit happy? What do you simply love to do? What makes you smile? What makes you laugh? Do some of those things right now. Show yourself some love. Loving yourself is the first step out of the fear-based illusion we have created for ourselves. Realizing that I could instantly create a happy life all by myself was the first step to setting myself free from the fear-based illusion I was living in. I was always striving for perfection, but since perfection doesn’t exist, I was holding myself back. Realizing this, my self-imposed walls broke down, and suddenly I was free. I am the creator of my life. Whatever I want, I can make it happen. With that realization came excitement. I used to be scared to be in charge of my own life, but now, the exact same realization makes me feel so powerful. What changed? I chose love. I chose happiness and excitement over fear. How do you want to feel? Stop focusing on what’s wrong in your life, and start focusing on what’s right. Start focusing on creating the life of your dreams. Once I started focusing on being happy, I realized that all I have to do to make my dreams come true is work on them a little more each day. How cool is that? No matter where you are today, just imagine where you could be a year from now if you did one thing each day that carried you closer to the realization of your dream. It doesn’t matter how big or small the steps are, it’s the direction that matters. Don’t let fears make you take steps backward. Realize that you are a powerful co-creator of your dreams. Step into your power. Own your dreams. You are worth it. Love it! Excellent post and a very much needed eye opener!